Will A Robot Vacuum Cleaner Make Your Life Easier? Today’s technology is amazing and the market is filled with innovative products that make our lives easier, and sometimes even happier. Robot vacuum cleaners are one such product that has the potential to add significant convenience to your life. But do robot vacuums really make your life easier? Read on to find the ways a robot vacuum can simplify your life and relieve some cleaning burden. Your standard vacuum has bags, filters, attachments, belts, etc. When something goes wrong in your regular vacuum, it can be near impossible to fix it. You are also responsible for cleaning/changing maintenance parts. With a robot vacuum, you may not need to put in so much effort. They are known for their high-quality construction and durability. The most you’ll need to do with a robot vacuum is empty it out routinely. If you are healthy and able, this may not be a concern. But for the millions of people who are physically disabled or temporarily injured, vacuuming is a difficult task. A robot vacuum allows you the independence of getting your house clean, without having to ask for help. You only need to provide minimal effort to keep your floors clean. These products are also great for those reaching their senior-years, since it can minimize the risk of slips and falls during cleaning. Most robot vacuums have customization options that allow you to set the vacuum to clean when you need it to most. You can set it to clean as many times a day as you need, as you can personalize times, days, and modes. Robot vacuums can be customized to work on your specific schedule, so you can do other things instead of cleaning your floors. If you have pets, you know that pet-hair is a continuous hassle every day. As quick as you clean it up, it appears again, and vacuuming it up all the time is frustrating and time-consuming. This means that pet owners typically clean more often than those without pets, and a robot vacuum can help. The vacuum can pick up pet hair and dander as often or as seldom as you’d like. By keeping pet hair off your floor, your house will stay clean and healthy, and give you more time to do other things. Most robot vacuums are specially-designed to work on floors or carpets less than 1-inch in thickness. This makes them ideal for hardwood, tile, or linoleum floors. That type of flooring tends to accumulate dirt easily and it tends to be seen more easily as well. Robot vacuums have the ideal construction for cleaning these types of floors in a breeze. Arguably one of the best reasons a robot vacuum makes your life easier is its ability to work while you’re away. 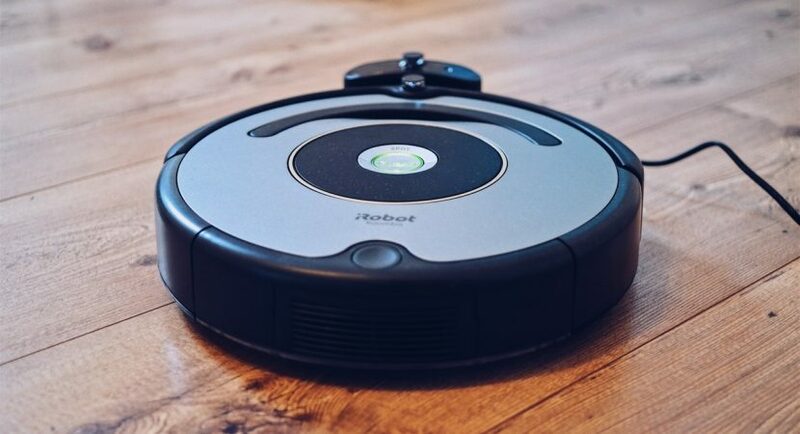 Whether you’re busy doing other chores, taking care of kids, running errands, or even at work, a robot vacuum allows you to live-out that dream of being in two places at once. You can set the vacuum to clean whenever you’d like, so you don’t even have to be there to complete a pesky task. Many robot vacuums have spot-cleaning features, which allow the vacuum to focus on hard-to-clean spots so you don’t have to. They are also great at getting under or around certain objects in your house; helping you to clean all those hard-to-reach places that are cumbersome with a traditional vacuum. The technology in robot vacuums allow them to work diligently around corners, edges, and pieces of furniture. A robot vacuum may not be for everyone, but it can certainly make life easier for a wide variety of people. If you’re looking to cut-down on your housework time without sacrificing quality, try giving a robot vacuum a try. Innovative, customizable, and convenient; everything you need to make your life easier.